A. Dabbaghian*, Z. Fatmi*, P. Shafia*, T. Yousefi*, H. Kassiri, “A 9.2-gram Fully-Flexible Wireless Dry-Electrode Headband for Non-Contact Artifact-Resilient EEG Monitoring and Programmable Diagnostics,” submitted to IEEE International Symposium on Circuits and Systems (ISCAS), 2019. T. Yousefi, A. Dabbaghian, H. Kassiri, “Motion Artifact in Non-Contact EEG Recording: Characterization and Analog Front-End Design,” submitted to IEEE International Symposium on Circuits and Systems (ISCAS), 2019. T. Zhan, S. Guraya, H. Kassiri, “A Resource-Optimized VLSI Architecture for Patient-Specific Seizure Detection Using Frontal-Lobe EEG,” submitted to IEEE International Symposium on Circuits and Systems (ISCAS), 2019. M. R. Pazhouhandeh, H. Kassiri, A. Shoukry, I. Wesspapir, P. Carlen, and R. Genov, “Artifact-Tolerant Opamp-Less Delta-Modulated Bidirectional Neuro-Interface,” In 2018 IEEE Symposium on VLSI Circuits, pp. 127-128. A. Dabbaghian*, Z. Fatmi*, P. Shafia*, T. Yousefi*, H. Kassiri, “A 9.2-gram Fully-Flexible Wireless Dry-Electrode Headband for Non-Contact Artifact- Resilient EEG Monitoring and Programmable Diagnostics,” submitted to IEEE International Symposium on Circuits and Systems (ISCAS), 2019. T. Yousefi*, A. Dabbaghian*, H. Kassiri, “Motion Artifact in Non-Contact EEG Recording: Characterization and Analog Front-End Design,” submitted to IEEE International Symposium on Circuits and Systems (ISCAS), 2019. T. Zhan*, S. Guraya*, H. Kassiri, “A Resource-Optimized VLSI Architecture for Patient-Specific Seizure Detection Using Frontal-Lobe EEG,” submitted to IEEE International Symposium on Circuits and Systems (ISCAS), 2019. Alireza Dabbaghian and Tayebeh Yousefi presented their research work in the CMC (Canadian Microelectronic Corporation) TEXPO. Their poster was titled “A 9.2-gram 8-Channel Fully-Flexible Wireless Surface EEG Monitoring and Diagnostic Headband with Motion Artifact Removal “. processing, and stimulation while operating fully wireless. In addition to the electronics, such a device must also integrate recording/stimulation electrodes on the same platform. The awarded project will advance the development of implantable EEG acquisition systems by designing miniaturized electronics for EEG data collection, processing, and wireless transmission. Combined with specialized electrodes made from biocompatible materials, the overall solution will overcome the limitations of current instrumentation and allow for widespread use of long-term EEG, resulting in better diagnosis and management of neurological conditions and leading to improved patient outcomes. Zainab and Pooria won the Student Choice Award! Pooria Shafia and Syyeda Zainab Fatmi, two of the ICSL undergraduate research assistants, presented their work in Lassonde School of Engineering summer research conference. Their poster was titled “A Fully-Flexible 8-Channel Active-Electrode Wireless Wearable Device for Surface EEG Recording with Motion Artifact Removal”. They competed with more than 60 other projects and received the “Students’ Choice Award”. Congrats Pooria and Zainab! 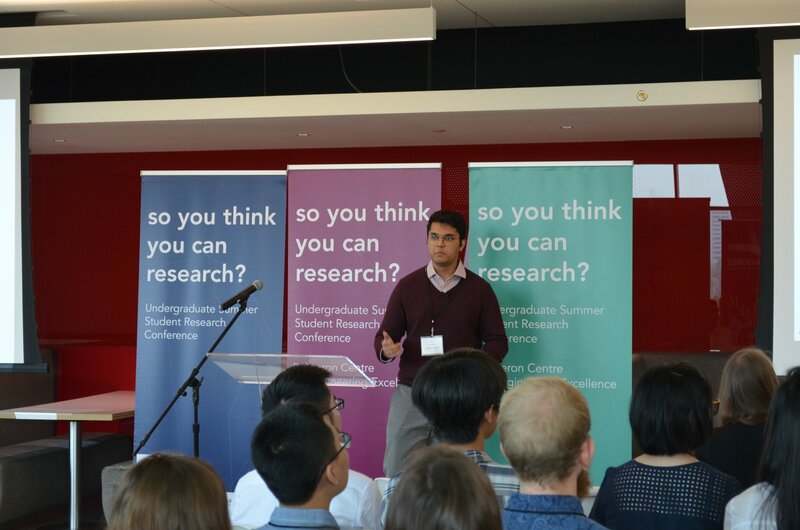 Sam Guraya, an ICSL undergraduate research assistant, presented his work in Lassonde School of Engineering summer research conference. His Presentation was titled “Machine Learning Approaches for Seizure Detection using Frontal Scalp Electrode Recordings, Spectral Energy Bands, Phase Synchrony and Electrode Position based Feature Extraction”. His work was selected as one of the only 5 out of ~70 projects to be presented as a talk, and he won the 2nd best presentation award. Congrats Sam!